This is an enjoyable read about Fynn, who finds life quite challenging. She finds it hard to fit in, but has a steady job, a caring relationship with her mother and a quirky cat. During her adult life she sees the ghost of her dead twin, which makes her wonder if she is insane. Going to find the answers from her psycotherapist, Paul, doesn’t provide the answers, but she develops a trusting relationship with him until one day, he also turns up dead. Fynn now finds herself with two ghosts, and she examines if they are just in her mind, or if they have messages for her. What do they want from her? At times she finds their presence intrusive and irritating, especially when she meets a love interest, Jack. This is a well written book, character driven and a compelling read. Highly recommended. Enjoy. 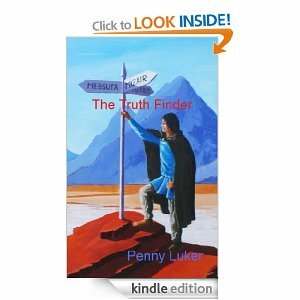 Today I woke up to find this fabulous review of my young adult novel, The Truth Finder. Knowing this book was primarily aimed at young adults, I wondered how much I would enjoy it, but within a very few pages I was gripped by the narrative. Although the story in this future world is set in the fifth millennium there are fascinating parallels with our modern age. I couldn’t help feeling that Vrail’s gift (which doesn’t always seem such a gift to him, especially when he first recognises its wider impact) is almost a natural extension of the instant connection we have now via social media, where in a sense we do constantly ‘read each other’s minds.’ In this future world there are other unusual talents that have possibly developed from brain experiments conducted in the ruined past: a growing number of ‘visualisers’ can shape-shift and create deceptive illusions for others. Those who have been born with this gift are feared, exploited, and persecuted in a world still not ready to accept the potential transcendent leap. I loved the curious juxtaposition between a reimagined antediluvian civilisation that has grown out of the ashes of a destroyed 21st century world, and a futurist society which has retained many of its technological advantages while functioning within a largely feudal system. 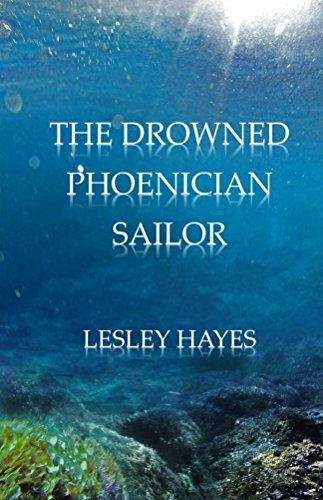 Penny Luker manages with great skill to pull this off without too many obvious flaws of logic – or perhaps I was so enthralled by the story that I threw logic to the wind and went with the flow. The character of Vrail is superbly drawn. He grows into adulthood retaining the integrity he has developed as a child, learning at his father’s knee the responsibility that comes with his telepathic powers. I felt for him, having lived my own life as something of a truth finder. Intuition can be a double-edged sword, and Vrail’s talent is in demand by the forces of both the good and the powerful. Seeing into the perverted depths of an evil mind while assisting in the pursuit of a particularly vile criminal takes Vrail to some dangerous edges, both mentally and physically, and these events are well drawn, realistic, and beautifully written. The storyline presents a number of dilemmas for Vrail, which are cleverly resolved by the end. Nevertheless, as a reader there is relief in realising that in some ways his story is only just beginning. This is the first book in what I guess could be as long a series as Penny Luker’s imagination can stretch. I feel certain that any young adult who reads this will be eager to read more. I am impressed, and highly recommend this book. I’ve read one of Lesley Hayes books called Oxford Marmalade. There’s a link to that book here. You can find my review on this blog. I was so impressed with the writing, the characters and the stories and I’m looking forward to reading more from this author. It’s great when you find a new author, whose writing you love. Do check out all her books on Amazon. I’ve added a few more links below.